Gulf Sotheby’s International Realty is pleased to offer you this stunning waterfront apartment, located in the North Tower of the iconic and luxurious Five Palm Jumeirah... Property details: • Fully Furnished • Marina View • 20% discount in The Five Resort • Valet and concierge services • Rented for Short term • Motivated Seller • Mid Floor • BUA 2,770 sqf The Five Palm Jumeirah Dubai is known for a great variety of experiences, from spectacular entertainment and dining venues with world-class chefs serving you the most delicious mix of flavors to exclusive spa made to relax your mind and reinvigorate your senses. 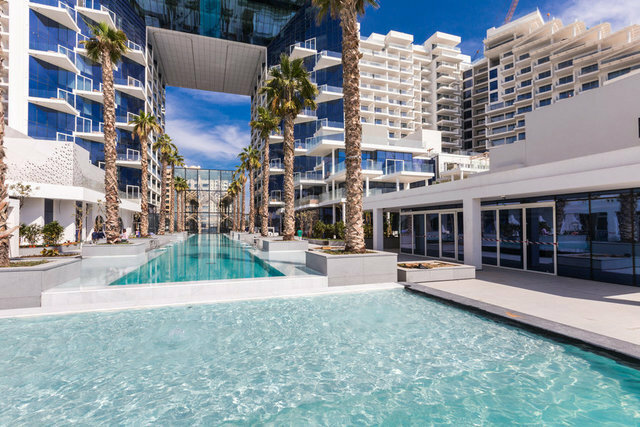 Residents of this unique apartment can also choose from a range of first-class amenities and facilities, such as private pool, individual lift and easy access to all the outstanding venues. Palm Jumeirah is a world-renowned residential and tourism destination. Contact Gulf Sotheby’s International Realty today for your private viewing of this extraordinary property.